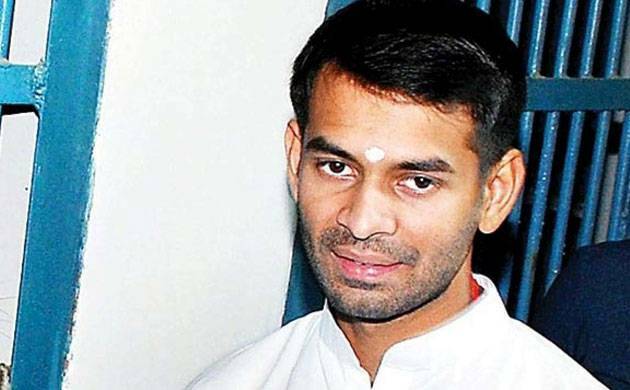 Rashtriya Janata Dal (RJD) chief Lalu Prasad Yadav’s elder son, Tej Pratap, on Sunday claimed that he vacated his official bungalow because Chief Minister Nitish Kumar released ghosts to haunt him out of it. Tej was allotted the bungalow after the November 2015 elections, in which he was elected as the Health Minister of the state along with a great alliance formed by RJD, JD(U), and Congress. The grand alliance had won 178n assembly seats in the House of 243, restricting the BJP to only 53 seats. After this, around 20 months later, Nitish parted ways with the other two allies and formed a government in alliance with BJP on July 27 last year. However, in August, the state building construction department (BCD) sent several official notices to the former RJD and Congress ministers asking them to vacate their bungalows. According to the Times of India, Tej had shut the south-facing gate of the bungalow on the advice of a Vastu expert. RJD spokesperson said that Tej vacated the house after the second and final notice was received by him, warning Tej of a penalty if he continued to stay at the unauthorised bungalow. BCD minister Maheshwar Hazari, however, said that he and his department have not got any official confirmation or information by Tej that he had vacated the accommodative bungalow.